The Diplomat speaks with leading Afghanistan commentator Juan Cole, author of the Informed Comment blog, about the recent election, the abandoned run-off and the future of US forces in the country. The US and Britain were quick to congratulate Afghan President Hamid Karzai after he was declared the winner of the presidential poll this week. But in the medium to long term, how much have the claims of fraud in the first vote in August damaged his legitimacy and ability to govern? Juan Cole: In the Afghan context, you have to remember that the message of the Taliban and the other groups that are opposing the Kabul government is that the elections are a sham–that Karzai is a Western puppet and these elections have been manipulated to make sure the right people win from Washington and London’s point of view. Opponents of Karzai are constantly putting out this propaganda, and I fear that events have played into that propaganda. 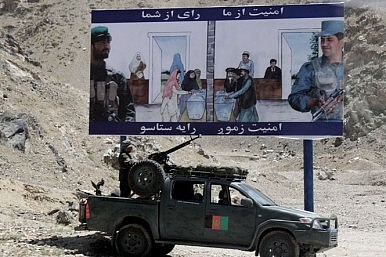 So these events–the declaration that the August 20th election involved a great deal of ballot fraud, the refusal of Abdullah Abdullah to run in an election against Karzai on the grounds that the second round would be just as corrupt as the first–all of these are propaganda points for the Taliban and the other anti-Kabul forces. The United Nations talked of widespread fraud in the first round. How much of this do you think is likely to have been centrally orchestrated? Mr. Cole: The fraud appears to have occurred in select Pashtun-majority provinces. And it was Mr Abdullah’s suspicion that the Electoral Commission itself might have been involved. That’s a charge that has been made. So some observers feel it must have gone straight up to Karzai. In an Afghan context–where personal honour is very important, where tribal feuds can result from an insult–it’s a difficult thing to call Karzai himself a fraud. It is more common to say that people around him must have been overzealous and so forth. But obviously some still suspect Karzai was behind it. There has been some speculation that Karzai’s main challenger, Abdullah Abdullah, is considering joining a unity government. How likely do you think this is? Mr. Cole: Personally, I don’t understand why he would do that. That is to say, why wouldn’t he run in the run-off election so as to try and secure enough votes to be an attractive candidate for a national unity government partnership with Karzai? To pull out of the race on the grounds that the Electoral Commission was corrupt doesn’t seem like a very promising opening gambit for an attempt to join the Karzai cabinet. I know there are many observers in the major Western newspapers who broach this opinion, that Abdullah is positioning himself for a cabinet position. But it seems unlikely to me because of the way Abdullah withdrew from the race–it was a slap in the face to Karzai, so I don’t see an offer of a cabinet position coming out of that. Do you think a unity government would be a good way for Karzai to regain some the legitimacy he appears to have lost? Mr Cole: I think Karzai does have a credibility problem with the Tajik minority, the Persian-speaking Sunnis who make up about 22 percent of the population. And I think he’s probably also fairly unpopular with some of the other ethnic groups outside the Pashtuns. And of course a quarter of the Pashtuns are opposed to him. So the point of a national unity government would be to convince the Tajiks that they are well represented in the government, that their voice is heard and that their interests are protected. So to that extent, obviously having Abdullah Abdullah in the cabinet, were he to be seen to have influence and able to exercise patronage, would help to calm tensions. But that is a lot of ‘ifs’–if he is in the cabinet, if he is seen as influential, if he has a certain amount of patronage. And all of those ‘ifs’ are iffy.